Okay, so first off, apologies. I thought I'd posted about this before. I definitely meant to. Gah. Anyway, if you've followed the blog a while or if you follow me on Twitter (@empireofbooks) then you will know that I am a big fan of Will Hill - I'd even go so far as to say I love him. His books are incredible. His monsters are... well... they're exactly that... Monsters! His twitter is brilliant and definitely worth a follow - he tweets interesting things and is also pretty funny. You can find him @WillHillauthor. So, being such a big fan of Will I'd want to own everything he does, right? Right! As is becoming common place today, extras are being made available by authors and publishers, normally in eBook only form. A little pick me up in between books, something just to remind you of the world you're in whilst reading a certain series, a look at some point from the story from another characters point of view, and so on. And thankfully Will now has his own little eBook exclusives. The Department 19 Files. Now these do not feature Jamie, Larissa, or Dracula for that matter. No, these are the tales of people out on the front lines - the ones you don't know about, the hidden members of Department 19 that are keeping you alive, every single day. Two have so far been released... 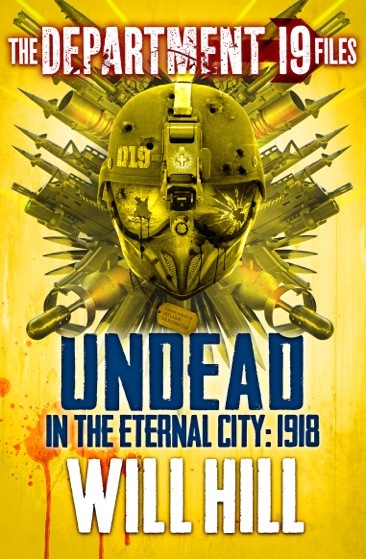 The Devil in No Man's Land: 1917, and Undead In The Eternal City: 1918. Both have been awesome - love them. They're only little. They're quick reads and designed to be so. I'd say about half an hours worth, more or less depending on your reading speed, but for me about half an hour, three quarters with interruptions (don't get me started... family, pft!). 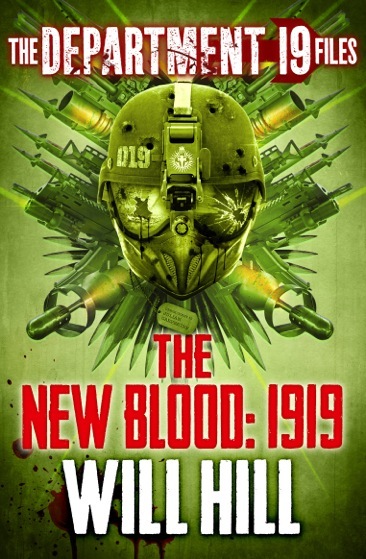 And later on this week, the third and final instalment of the little mini-series The New Blood: 1919 will be unleashed and I for one am chomping at the bit to get a hold on it! 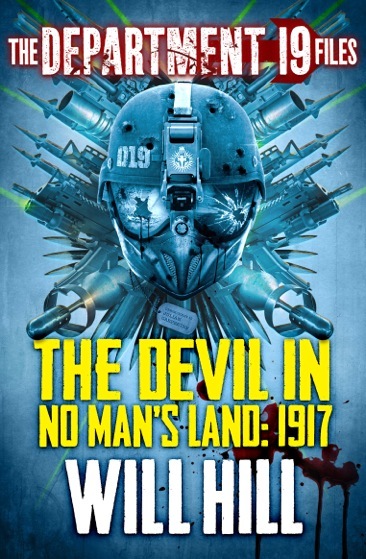 In fact, writing this I've just realised that it's out tomorrow! Buzz, or what?! So yes, the point of this post is to tell you to go and check them out ASAP. If you haven't read Department 19 yet, if you're new or just not gotten around to it yet, you won't have anything spoiled for you at all. These books pre-date the main series and there's nothing here that would ruin the plot of either the first two books (I can't comment on Battle Lines yet as I haven't read it yet...) so read away and enjoy!